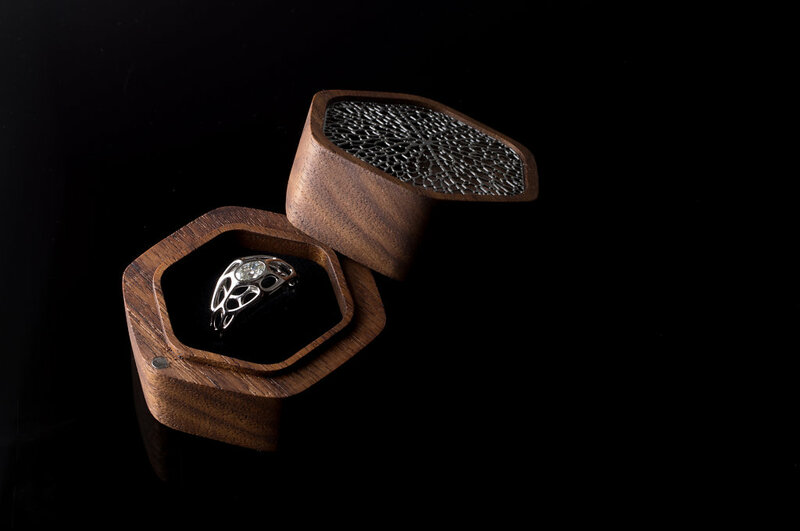 Custom palladium cell cycle ring with a lab-grown oval diamond. 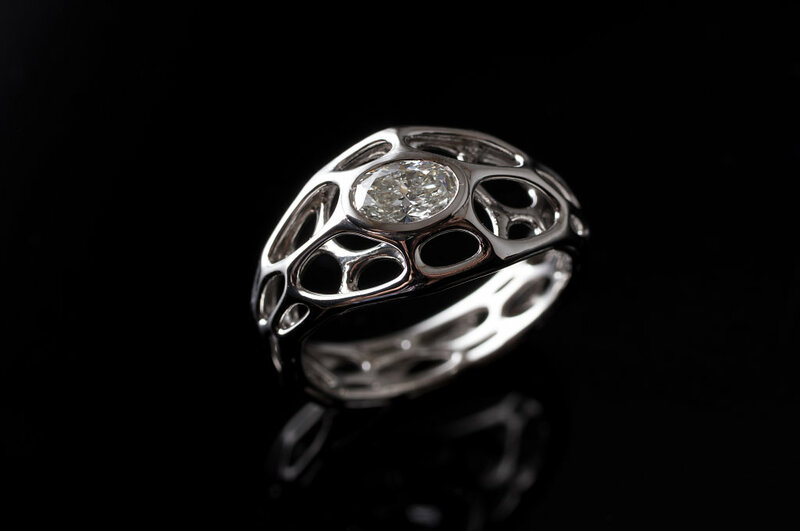 The gemstone sits flush within the ring's structure. 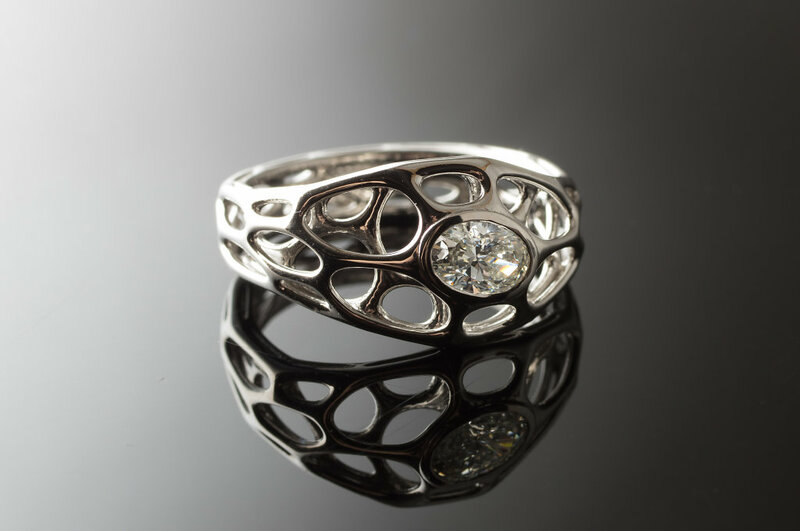 Interested in a similar ring? 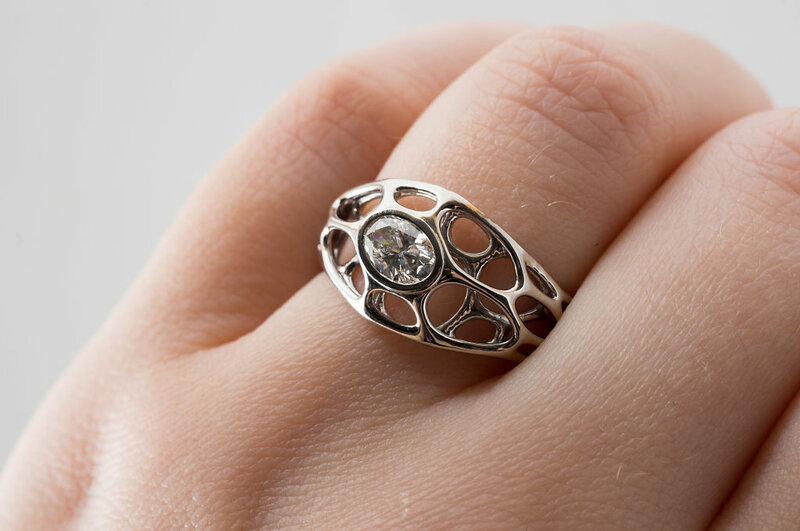 Email us at orders@nervo.us to discuss a custom ring.